In the first of the events, on 18 May at the BOZAR (Centre of Fine Arts) in Brussels, the coordinator of the study, Prof. Iván Martín, gave a presentation on “From Refugees to Workers to Citizens: What we Know about the Labour Market Integration of Refugees in Europe”. This presentation complemented the keynote speech made by Rita Süssmuth, former President of the German Parliament, on “From Reception to Integration: Moving Beyond the Refugee Crisis”. The two interventions were discussed by Matthias Oel, Director of Migration and Security Funds at the DG HOME of the European Commission. 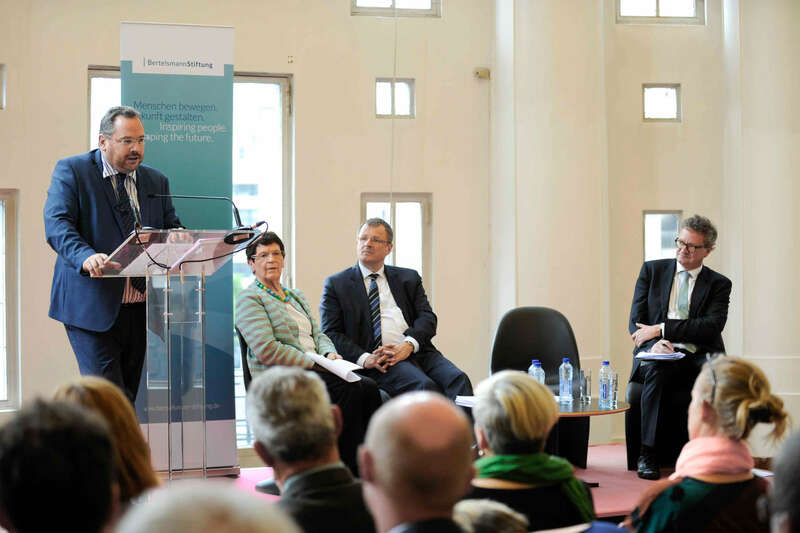 On 19 May, Prof. Iván Martín was also invited to present the main conclusions of the study to a group of officers, experts and stakeholders at a Brussels Breakfast Briefing organized by the Bertelsmann Stiftung.